The warning signs were not what you might imagine with such a weighty diagnosis. Piper’s symptoms presented in such a way that simple, rational explanations were enough to satisfy our early concerns. After Nelson and I returned home from a 3-night trip to Chicago (our first travel without the girls) we began to notice changes in Piper. It started with her speech. Minor pronunciation issues that we attributed to her wanting to talk like her baby sister, Harlow, or simply acting out because we had been away. A couple days later we noticed she also seemed to have difficulty swallowing and chewing her food. Her saliva would gather in the right corner of her mouth and if she was laughing or looking down, it would drip out. But still this was all minor. Then came the calls from her school. Always watchful, they described a lack of energy and engagement uncharacteristic for Piper. Friday, June 9, six days after our trip, we had an appointment with our family pediatrician in hopes of finding answers. The visit put all our concerns at ease… “it may be an ear, nose, throat issue” … “perhaps she has strep or swollen glands” …. “no neurological concerns”…. Piper had also been having night terrors and, paradoxically, sleep laughter over the previous six months (also early signs of DIPG) so the doctor felt that sleep deprivation might be playing a role. She scheduled a sleep study and told us to go to Target to get nasal spray to calm down what she thought was a swollen tonsil. Then, late Sunday, June 11, Piper’s symptoms suddenly worsened. No longer nuanced changes, but clear signs that something bigger than an ENT issue was at hand. She lost her energy, began to trip and stumble, and her speech became so slurred we could hardly make out her words. Although she was talking as much as ever, she was clearly laboring to do so. Alarmed, we began to Google her symptoms but her eventual diagnosis never once came up in the search. At that late hour, reassuring ourselves it could not be neurological like the doctor said, we decided to let her rest and take her in first thing the following morning. Monday, June 12, 2017, will forever be etched in our memories as the day the sky fell. The day our seemingly perfect world evaporated. At 6:30 a.m. it became clear Piper was not improving. Although she had slept comfortably in our bed all night, she was slow to wake and couldn’t even really get out of bed. Rather than wait for her doctor’s office to open, we rushed to the ER at Children’s Hospital South Campus. They wasted no time getting a CT scan in process. Even then, worried as I was, I believed the explanation would be something I’d at least heard of, or could be treated in the age of modern medicine. We waited for what seemed like hours, and although we had been given no information, we began to know that something was wrong. The nurses and staff who were so cheery when we arrived were now avoiding eye contact and conversation. After about half an hour, the ER doctor asked us to meet her in an empty room. The short walk to the next room was silent and foreboding. A box of tissues had already been placed on the table in front of where we were to sit, then the doctor bravely, and with obvious heartbreak, told us that the scan showed a mass in Piper’s brainstem. Everything echoed. “What kind of a mass?” we both asked. The doctor said nobody would know until Piper had an MRI at the Children’s Hospital Main Campus in Aurora. After we pressed the issue, she said the mass appeared to be cancerous. Before the conversation was over, an ambulance was ready for us. Minutes have never felt so long. After we arrived, Piper’s condition began rapidly deteriorating. She couldn’t walk or even move much at all. She couldn’t talk, but just whimpered and uttered half-formed words. She wanted to tell us something, but she just couldn’t. The doctors explained they would image Piper’s brain and spine and that it would take about an hour and a half. We held and kissed her as they put her under general anesthesia so they could obtain a clear image. Before the procedure was even complete we were asked to come to yet another ominous room. They had seen enough to make a diagnosis. Waiting for us was another pre-placed box of tissues, two neuro-oncologists, a medical student, and a social worker. It was there that we first heard the words Diffuse Intrinsic Pontine Glioma, or DIPG for short. 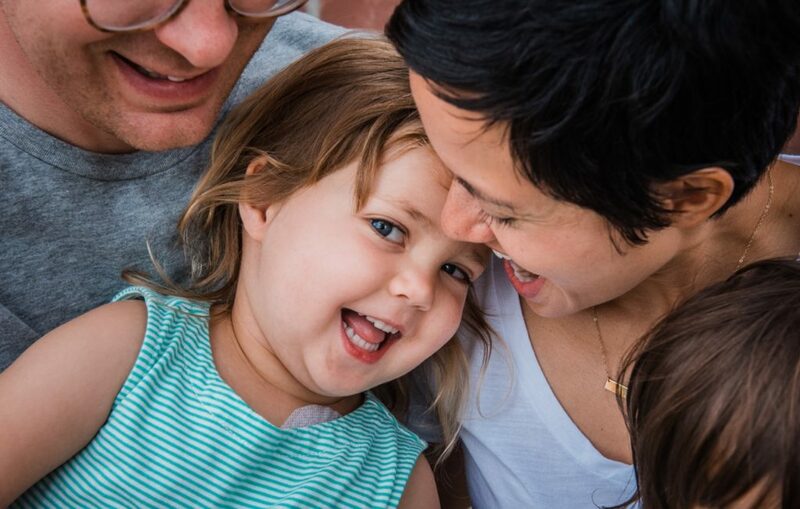 These words came alongside others like “inoperable,” “incurable,” and “universally fatal.” The doctors said our beautiful 3-year-old would die from her brain tumor and that she might live 6-9 months if we elected palliative radiation, or just 7 weeks if we did nothing. We held hands and cried until there were no tears left. Then each of us broke the news to our parents. Life has never been the same since. We spent the next week in-patient with Piper, encouraging her to talk, chew, and slowly walk again. Her tumor was biopsied (something they only started doing in the last five years) and confirmed it to be grade IV DIPG. Every day since June 12, 2017, has been far from normal – even in the happiest of moments. Although our reality has been irreversibly altered, some changes have been positive. We understand as we never could have before that we should be grateful for each day. To take struggles one step at a time. To live for today. To love like there may not be a tomorrow.